Novi, MI — Equinox® Louvered Patio System , a brand of Euramax International and the leading provider of elite patio systems, has launched a website visualization tool to help homeowners and architects view its louvered roof systems within projects online and on mobile devices. Chameleon Power, the leader in visualization technologies for the building and decorating industries, has developed this tool based on its next generation three-dimensional visualization engine. 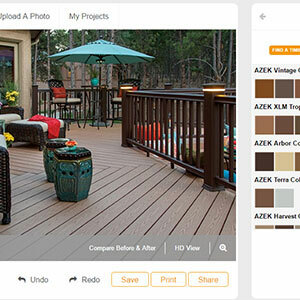 The new visualizer tool allows users to select stock outdoor photos, or upload their own, and apply the Equinox® Louvered Patio System roof to the photograph. Additional unique features include altering sun direction, time of year, changing louver angle, changing structure design and color, etc. “The visualizer was implemented to enhance the user experience, allowing them to visualize and experience a life with an Equiox Louvered Patio System," said Daisy Lilley, Director of Marketing Communications for Euramax. "As the leader of premier shade structures, we feel the need to provide cutting edge solutions that help our end users and architects design our systems into their projects." “We were flattered when Equinox® Louvered Patio System challenged us to enhance our technology in order to allow application of their unique roofing systems to online photographs and projects," said Dan Dempsey, President of Chameleon Power. "Our new 3D engine is a great complement to the fantastic roofing technology that Equinox® Louvered Patio System has brought to market, and ensures Equinox® Louvered Patio System will remain on the leading edge of their industry." Committed to providing the best in design, form and function,Equinox® Louvered Patio System is recognized as the leading supplier of elite patio systems. Specified by discerning consumers and designers who demand solutions of superior quality, Equinox® Louvered Patio Systems have been chosen for many exclusive projects around the world. Our quality product offering, advanced LEAN manufacturing processes and dedicated customer service values have elevated Equinox® Louvered Patio System to the system of choice. Equinox® Louvered Patio System is a brand of Euramax International, Inc., a global producer of architectural copper, metal roofing and cladding, patio structures, roof and lawn drainage, snow retention, windows and transportation products for original equipment manufacturers, distributors, contractors and home centers worldwide. To learn more about Euramax, go to euramax.com. Novi, MI (June 1, 2016) Interface, the world’s largest manufacturer of modular carpet, has deployed a new visualization tool to help its team of designers maximize flooring solutions for their customer base. The visualization tool, provided by Chameleon Power, the leader in visualization technologies for the building and design industries, affords designers the ability to create infinite design outcomes for their clients from the many unique color and pattern options within the Interface product family. The new Floor Designer and Mood Board Tools incorporate Interface’s diverse palette of carpet tiles and allows users to render free-form layouts or compose custom designs using pre-defined templates. In either mode, the results are unique and gives the end-customer a definitive view of the final outcome. Chameleon provides two-dimensional and three-dimensional photographic visualization technologies that help its customers sell and specify their products more effectively. The software technologies are deployed as customer-facing solutions and as channel-based tools that simplify the sales process. About Interface: Interface, Inc. is the world’s largest manufacturer of modular carpet, which it markets under the Interface and FLOR brands. The company is committed to sustainability and doing business in ways that minimize the impact on the environment while enhancing shareholder value. For more information, visit www.interface.com. 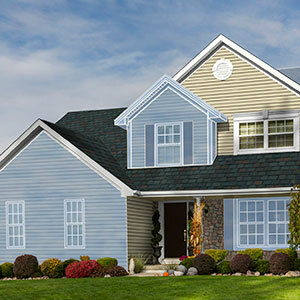 About Chameleon Power: Headquartered in Novi, Michigan, Chameleon Power is the leading Web technology provider to the home building and decorating industry. Chameleon Power has provided visualization and e-commerce solutions to the home building and remodeling industries since 1998. Chameleon Powered Web sites create virtual showrooms that provide a seamless connection between manufacturers, e-tailers and consumers. For more information, visit www.chameleonpower.com. Novi, MI (June 1, 2016) Deerfield Beach, FL and Novi, MI — MAPEI, the world leader in grout, mortar and adhesive products, partnered with Chameleon Power to promote advanced color technologies at the recent Coverings tradeshow in Chicago. Utilizing Chameleon technology, MAPEI has evolved its grout colors for the tile and stone industry, and the new palette was presented to MAPEI customers at its booth. Phil Kenyon, Chameleon's VP of Color Solutions, presented Chameleon's color science technology at the MAPEI booth throughout the show. “We helped MAPEI build and launch its new color palette utilizing our Chromalyzer engine and our color knowledge," said Phil Kenyon. 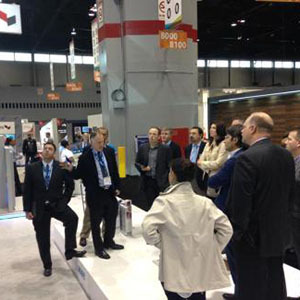 "At Coverings, we presented, to MAPEI booth visitors, the science and study behind the changes made and how we conceptualized the new palette that MAPEI presented." Chameleon's color expertise and corresponding technology is utilized globally across many industries including paint, grout/mortar, textures, fabrics, cosmetics, design, and many more. Estee Lauder, MAPEI, Nike, PPG, Sherwin-Williams, Valspar and many other global manufacturers utilize Chameleon for color help and palette creation. “We used Chameleon color technology to support our creative team and color lab to develop a new 40-color palette spread across 5 color collections, each infused with a distinct personality," said David Mowery, TSIS Business Manager of MAPEI. "MAPEI is the first tile and stone installation systems manufacturer to use groups of organized grout colors to help customers make the best color choice for their grout." Chameleon tools and services are deployed as customer-facing solutions and as product development technologies within the manufacturing and design sectors. "The leading suppliers use Chameleon to stay ahead of their competitors and drive specification of their products," said Dan Dempsey, President and CEO of Chameleon Power, Inc. "MAPEI has taken a cutting edge approach to grout selection, and Chameleon is proud to partner with MAPEI in this process." Novi, MI (May 18, 2016) Forbo Flooring Systems, a global leader in commercial flooring solutions, has launched a new visualization tool to help its customers create custom designs with Forbo’s Marmoleum Modular floor tiles. The visualization tool, provided by Chameleon Power, the leader in visualization technologies for the building and decorating industries, helps customers to view Marmoleum Modular within room scenes online and on mobile devices. 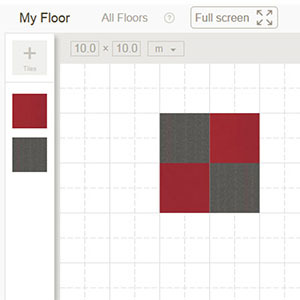 The new visualizer tool allow users to play with a broad range of colors and patterns to create custom floor designs and visualize how the design will look in real-world applications. 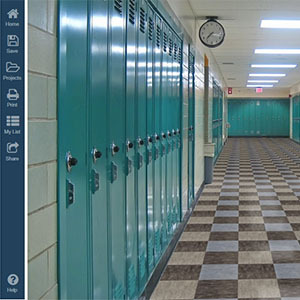 The photographic visualizer tool is integrated into the Forbo Flooring site and accessible in the Inspiration area. “The new Marmoleum Modular tile app was created to provide a more compelling reason to specify Forbo flooring," said Lori Lagana, Marketing Manager, Forbo Flooring NA. "Creating beautiful, custom flooring solutions is simplified with visualization technology and the Modular tile app will assist our clients in viewing and selecting their flooring online at our website." “Forbo is an excellent global brand known for quality flooring materials in the commercial space," said Dan Dempsey, President of Chameleon Power. "We're proud that Forbo elected to partner with Chameleon in providing visualization tools to its customer base." Novi, MI (May 17, 2016) Applying visualization technology to the design and custom order business, Chameleon Power, the market leader in color design and visualization technologies, has developed a simulation engine for the fabric, textile, shingle and other categories. Designed to help suppliers control product design costs while forecasting colors more effectively, the Chameleon simulation tool is integrated with the visualization engine to allow a turnkey solution from design to visualization. “Our customers and prospects have asked us to take simulation to the next level," said Dan Dempsey, President of Chameleon Power. "With the most photo realistic tools available, it made sense for us to apply our tools to custom, made-to-order, and product design sectors." Chameleon technologies have been deployed for more than a decade by leading suppliers, distributors, builders, dealers and websites in the building and decorating industries. The simulation tool expands Chameleon's offerings for its core categories and also for some of its latest categories including cosmetics, fashion, design, textiles, and fabrics suppliers. “Simulation is a natural extension of our engine tools and capabilities," said Bill Westrick, VP of Software Engineering, a color scientist, and the original developer of the Chameleon technology. "The ability to accurately create digital representations of products prior to manufacturing extends our technology reach into the design and customization arena." Novi, MI (May 16, 2016) Chameleon Power, the market leader in color design and visualization technologies, has expanded its widely used suite of tools with color development and coordination modules. Based on its Chromalyzer color engine, the Chameleon color logic system aids in the creation and development of color palettes, while assisting, users with color selection and coordination. “Our technologies are built on our color accuracy expertise, and we continue to evolve tools that exploit our color strengths," said Dan Dempsey, President of Chameleon Power. "For most product manufacturers, an effective and intelligent color strategy is key to success, and Chameleon tools are regularly the solution for ensuring this." Chameleon web and mobile tools have been deployed for more than a decade by the leading suppliers, distributors, builders, dealers and websites in the building and decorating industries. The latest solutions have been embraced by leading cosmetics, fashion, design, textiles and fabrics suppliers. The leader in web and mobile visualization solutions and services has launched into other categories with its unique offerings. Novi, MI (April 1, 2016) Since inception, Chameleon Power has focused its marketing efforts on the building and decorating industries, which is why it is the leader and largest provider in the space. As the technology has evolved, Chameleon has realized opportunity to expand into similar categories in need of color accurate, effective selling and specifying solutions. “Our technologies have led the charge in our industry for more than a decade, and industries with similar needs typically pursue the leaders," said Dan Dempsey, President of Chameleon Power. 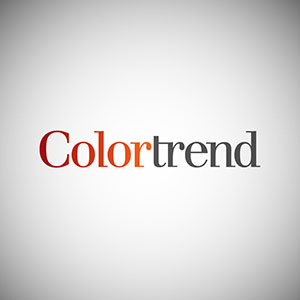 "Launching into textiles, fabrics, cosmetics, retail, and other categories makes sense for our expanding suite of color specification solutions." The Chameleon web and mobile tools are deployed globally by the leading suppliers, distributors, builders, dealers and websites in the building and decorating industries. The latest solutions have been embraced by leading cosmetics, fashion, design, textiles and fabrics suppliers. “Our core is rooted in color accuracy across all lighting conditions and transparency/translucency," said Bill Westrick, VP of Software Engineering, a color scientist, and the original developer of the Chameleon technology. "Industries that need accuracy and consistency on a global scale benefit greatly from our vast knowledge, skillset and corresponding technologies". Novi, MI (April 1, 2016) Chameleon Power's visualization tools are the standard in the building and decorating industries. With the 2015 launch of the Chameleon 3D visualization engine, the market dominance has expanded to another level. “Our tools have been the industry standard in many categories for a long time, however we aspired to up our game a notch to work in the more 3D oriented industries," said Dan Dempsey, President of Chameleon Power. "Our first 3D engine has helped us target new customers AND new categories very effectively". The Chameleon web and mobile tools are deployed globally by the leading suppliers, distributors, builders, dealers and websites in the building, decorating and other industries including cosmetics, fashion, design, textiles/fabrics, others. “The ability to add 3D objects to 2D photographs is a game changer and certainly new ground for visualization in our industries," continued Dempsey. "And high-resolution product zoom and render functionality is of keen interest to the manufacturers supplying products with intricate detail, colors, features, etc." Chameleon 3D visualization engines are available for implementation on client tools today. 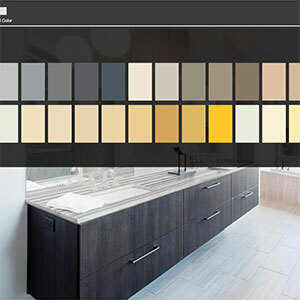 NOVI, MI — Arizona Tile, an innovator and distributor of tile and stone products, has launched a new design tool to help website visitors create and order unique designs with tile, stone, and glass. The visualization tool, provided by Chameleon Power, the leader in visualization technologies for the building and decorating industries and a technology provider to Arizona Tile for several years, helps homeowners and designers to create custom designs from materials supplied by Arizona Tile. 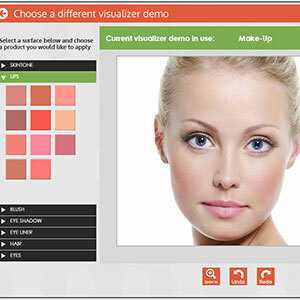 The new design tool allows users to select a product category, identify and colorize a pattern and create an order form. 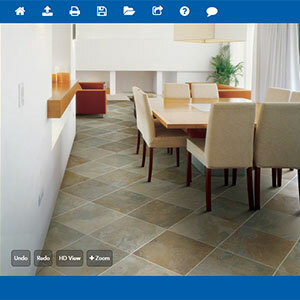 The Just Design visualizer tool is integrated into the Arizona Tile site and accessible on the front page. “Just Design simplifies the design, selection and ordering of custom tile and stone creations," said Adria Harrison, Director of Marketing for Arizona Tile. "We continue to expand our suite of web-based design tools because we know our clients are coming to the web first to make these types of decisions." “Arizona Tile leads with unique products and services, and compliments these with the best in design and selection tools," said Dan Dempsey, President of Chameleon Power. "They have regularly challenged Chameleon to create next generation solutions that differentiate Arizona Tile from the other suppliers." Founded in 1977 in San Diego, CA, Arizona Tile has grown into a nationally recognized commercial and residential tile and stone distributor with more than 25 showrooms throughout the Western US. Arizona Tile is one of the largest independently-owned importers of stone in the United States, offering more than 230 varieties of granite, travertine, onyx, slate, marble and limestone, plus medallions, porcelain tile and other design creations. Founded by John Huarte, former NFL player and Heisman Trophy winner from the University of Notre Dame, Arizona Tile is family-owned. 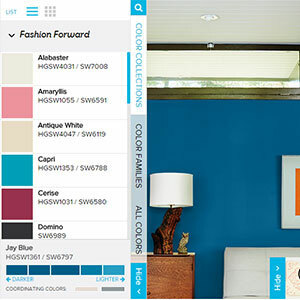 NOVI, MI — Sherwin-Williams, the global leader in paint and coatings, has launched the HGTV HOME paint brand for sale at Lowe's stores, and provides a unique visualization experience for consumers to view and select HGTV HOME paints in and on their projects while at the website. The visualization tool is provided by Chameleon Power, the leader in visualization technologies for the building and decorating industries, and helps homeowners select the ideal paint color online and on mobile devices. The new visualizer tool allows users to select room scene photographs, or upload their own room photo, and view the HGTV HOME paint brand in the photographic dynamically. Once selected, the user can link directly into the Lowe's website for purchase. The photographic visualizer tool is integrated into the PaintOn.com website. "We're proud that Sherwin-Williams has selected our tools to help specify and sell their new HGTV HOME designer brand through Lowe's stores", said Dan Dempsey, President of Chameleon Power. 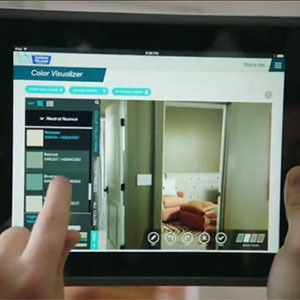 "Visualization technology has become a standard online and mobile tool for remodeling and decorating, and the new Paint On tool takes the concept to another level with many new features including integration into the color collections, color coordination/recommendation technology, user photo upload, others. The Paint On web visualizer is available for use at http://www.painton.com. Founded in 1866, The Sherwin-Williams Company is a global leader in the manufacture, development, distribution, and sale of coatings to professional, industrial, and retail customers through company-operated stores, home centers, independent paint dealers, hardware stores, and automotive retailers. Based in Cleveland, Ohio with 41,715 associates and $10.1 billion in sales, Sherwin-Williams is the USA's #1 paint and coatings company; #3 in the world. The company manufactures products under well-known brands such as Sherwin-Williams®,Â HGTV HOME™ by Sherwin-Williams, Dutch Boy®, Krylon®, Minwax®, Purdy®, Thompson's® Water Seal®, Ronseal™, Sayerlack® and many more. For more information, visit www.sherwin.com. NOVI, MI — Formica Corporation, a global leader in the design, manufacture and distribution of surfacing materials, has launched a new online room visualization tool to help its customers design their homes using Formica® Laminate and Formica® Solid Surfacing products. The visualization tool, provided by Chameleon Power, the leader in visualization technologies for the building and decorating industries, enables homeowners to preview Formica® Brand surfacing materials in their home projects from their computer or mobile devices. 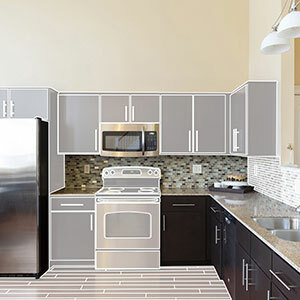 The Design a Room visualizer tool allows users to select from a gallery of kitchen, laundry room and bathroom images, or upload their own room photo. Users can then select and preview Formica® Brand products to see how the applied product will look within a space, while customizing pain colors and cabinetry. The Design a Room visualizer tool is integrated directly into the Formica Corporation website. 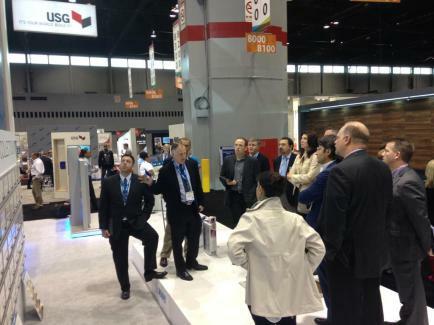 “Formica® Brand is a leader in the surfacing industry. Adding our technologies to formica.com makes it easier than ever for the growing community of online users to visualize how their homes will look with Formica® Brand designs," said Dan Dempsey, President of Chameleon Power. "We're proud that Formica Corporation has partnered with us to help its customers select the right countertop designs for their projects." Formica® is a registered trademark of The Diller Corporation. Novi, MI — Angie's List, the leading web provider of local services, referrals and reviews, has launched a suite of visualization tools to help homeowners select and view real building materials within their projects online and on mobile devices. Chameleon Power, the leader in visualization technologies for the building and decorating industries, has developed these tools in collaboration with Angie's List. The new visualizer tools allow users to select stock home images, or upload their own photo, and apply real roofing, siding, stone, paint, flooring and other materials to their interior and exterior photographs. The photographic visualizer tool is integrated into the Angie's List site, and accessible by desktop and mobile website users. “Angie's List provides an excellent service to its membership, and our cutting edge visualization technologies are a great complement to their marketing campaign," said Dan Dempsey, President of Chameleon Power. "As technology continues to lead design and decorating decisions, Angie's List is a great partner in bringing these leading edge solutions to its homeowner members." The Angie's List web visualizers are available for use at www.angieslist.com. 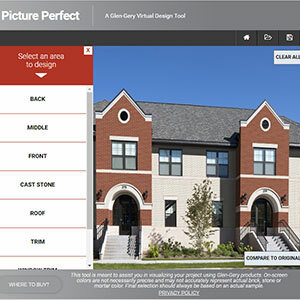 Novi, MI — Glen-Gery, a leading brick manufacturer, has launched a new visualization tool to help customers with the challenging task of selecting brick for their homes and commercial buildings. The visualization tool, provided by Chameleon Power, the leader in visualization technologies for the building and decorating industries, helps homeowners and the trade view real bricks materials in a photographic setting with home and commercial photographs. Glen-Gery is known for high-quality, diverse products and for offering and providing a quality visualization experience for their customers. Picture Perfect assists Glen-Gery customers in selecting brick, stone and mortar from their expansive line of materials. “Glen-Gery saw the need to enhance the brick and stone selection experience for its customers," said Dan Dempsey, President of Chameleon Power. "We're proud that Glen-Gery selected Chameleon Power to be their partner in offering this cutting edge solution to the residential and commercial industries." The Picture Perfect visualizer is available at the Glen-Gery website at http://glengery.com/photo-gallery/visualizer. Founded in 1890, Glen-Gery Corporation is one of the nation’s largest brick manufacturers and operates nine brick manufacturing facilities and one manufactured stone facility. Glen-Gery products are sold nationally through a network of over 500 distributors as well as in Canada. For more information, visit www.glen-gery.com. NOVI, MI — Chameleon Power's visualization tools have become the standard selections and design/decorate technology for website and mobile users on a global basis and have passed more than 70 million selections per month. The Chameleon web and mobile tools are deployed globally by the leading suppliers, distributors, builders, dealers, and websites in building, decorating and other industries. “Our tools have evolved, our client list has expanded and we continue to grow as the leading supplier of technologies within our industries," said Dan Dempsey, President of Chameleon Power. "It stands to reason that the utilization of our technologies has kept pace with our business growth." "Our metrics confirm that more than 75% of the identified users of our visualization tools become buyers of the products selected," said Dempsey. "For the majority of our clients, we can be their most effective sales tool if deployed effectively, and we're proud that they typically experience growth in parallel with our success." Chameleon technologies are deployed globally on hundreds of websites and are available for iPad and iPhone at the Apple app store and for Android at the Google Play store. 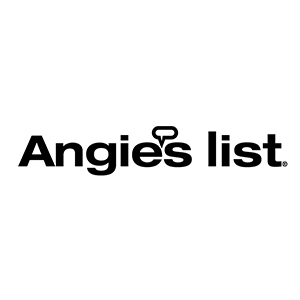 Indianapolis, IN — Angie’s List ANGI, -1.19% today announced its first exclusive paint manufacturer relationship with America’s Favorite paint, color and coatings brand, Benjamin Moore. The alliance identifies Benjamin Moore as the paint of choice by Angie’s List and provides members with contractor services through its private marketplace. Benjamin Moore & Co., a Berkshire Hathaway company, was founded in 1883. One of North America's leading manufacturers of premium quality residential, commercial and industrial maintenance coatings, Benjamin Moore maintains a relentless commitment to sustainable manufacturing practices and continues to develop the most eco-responsible formulations possible. In 2012, the company's Natura® paint received the Green Good Housekeeping Seal, acknowledging its high degree of sustainability plus rigorously tested performance. Other superior products in the Benjamin Moore Green Promise® portfolio include Aura®, Regal® Select, ben® and Ultra Spec® 500 paint for commercial interiors – all built upon our patented Gennex® platform that has changed the industry and earned the passion and loyalty of homeowners and professional painters by delivering extremely low-VOC and peerless beauty and performance. J.D. Power and Associates 2014 Interior Paint Satisfaction Study ranked Benjamin Moore highest in consumer satisfaction, marking the fourth consecutive year and fifth time the company has earned this rating. Benjamin Moore paints deliver authentic Benjamin Moore colors and are available exclusively from Benjamin Moore's more than 5,000 paint and decorating dealers. Novi, MI — Belgard Hardscapes, a leading provider of paver and wall products, has launched a suite of visualization technologies to help homeowners, landscapers, and contractors to view real materials within their projects online and on mobile devices. Chameleon Power, the leader in visualization technologies for the building and decorating industries, has developed these tools in collaboration with Belgard. 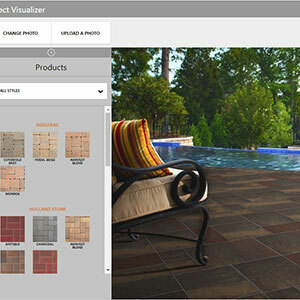 This new visualizer tools allow users to select stock home images, or upload their own, and apply real pavers to their project. The photographic visualizer tool is integrated into the Belgard site, and the iPad app version is available for download at the Apple app store. “The Project Visualizer was implemented to enhance the user experience and help specify our products into the project more effectively," said Erica Breazeale, Consumer Marketing Manager for Belgard Hardscapes. "Being a leader in the hardscapes industry, it makes sense for us to lead with technologies for our customers." 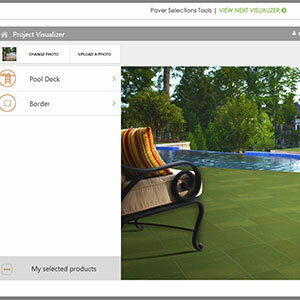 The Belgard visualizer offers several unique features including the ability for the user to create unique patterns and borders within their project. “Belgard provides excellent products and designs, and our cutting edge visualization technologies are a great complement to their marketing campaign," said Dan Dempsey, President of Chameleon Power. "The leaders of the industry are typically the first to embrace our tools, and Belgard is a great partner in providing the ultimate hardscapes design and selection solutions." The Belgard Hardscapes web visualizer is available for use at http://www.belgard.com/visualizer, and the iPad App can be downloaded at the Apple app store. Belgard® Hardscapes, part of Oldcastle Architectural, offers a complete collection of paver and wall products for outdoor living spaces, walkways, driveways, parking areas and retaining walls. Available in a range of styles, premium Belgard products have been found in America’s finest homes and award-winning commercial and retail properties since 1995. For more information or a complimentary Idea Book, visit www.Belgard.com or call 1-877-Belgard (235-4273). Find more inspiring outdoor space ideas www.Facebook.com/BelgardHardscapes. NOVI, MI — Ply Gem, a leading building products manufacturer, has launched a new visualization tool in conjunction with its latest product line, engineered roofing. The visualization tool, provided by Chameleon Power, the leader in visualization technologies for the building and decorating industries, helps homeowners and contractors to view real roofing materials within their projects online and on mobile devices. The new visualizer tool allow users to select home images and apply Ply Gem Slate roofing to their project. The photographic visualizer tool is integrated into the Ply Gem site and accessible in the roofing product area. “The Slate Selector was implemented to enhance the user experience and help specify our new roofing product line into the project more effectively," said Dave DeRogatis, Director of Composites for Ply Gem. 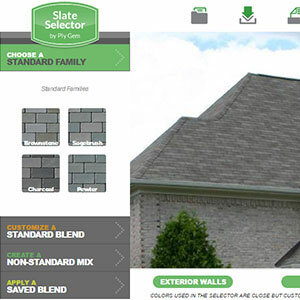 "Our engineered slate product line enhances the appeal and value of the home, and our new site visualizer enhances the experience for our buyers and contractors." The Slate Selector is one of several visualizer tools from Chameleon Power that are currently available on the Ply Gem websites. “Ply Gem offers the broadest suite of building product types of any supplier in the industry," said Dan Dempsey, President of Chameleon Power. "We're proud that Ply Gem has standardized on our tools across its entire product set, and Slate Selector is another great example of their goal to lead in design, product quality and in marketing." At Ply Gem, we make it possible for the nation's residential builders, remodelers and architects to design, build and update beautiful, low-maintenance and energy-efficient homes. Our comprehensive range of building products includes nearly everything on the outside of your house – from windows, doors and siding to designer accents, stone veneer, fence and rail. 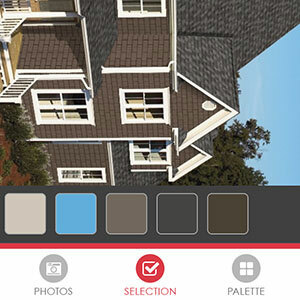 KANKAKEE, IL – IKO Industries, Ltd, a global manufacturer of asphalt shingles and related roofing materials for the residential and commercial roofing industry, has introduced its latest app. The company's popular RoofViewer software tool is now available as a free download from the Google Play™ store. Director of Marketing, Carol Perkins, explains the history of RoofViewer and its evolution into this latest version. 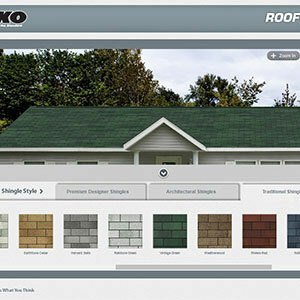 "Several years ago, IKO was first to market with our proprietary RoofViewer software tool. At the time, it was only available through a desktop computer. At the time, mobile devices were not in widespread use. Today, almost everyone is accessing programs and apps on the fly." She says that IKO's market research revealed the toughest decision facing homeowners was choosing the right style and color of shingle. 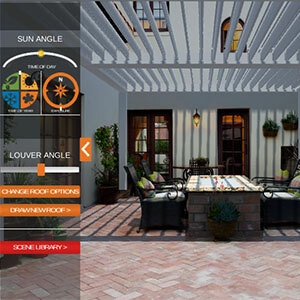 RoofViewer solved that problem by allowing them to shingle their homes virtually, online. They could choose from a standard template similar to their house or upload a photo of their actual home. RoofViewer even allowed them to "try on" different accessories, such as siding and trim. "RoofViewer was a big hit both with homeowners and with the contractors we serve," she continues. "In January 2013, we released an app designed to be used on an Apple® iPad®. It was an enhanced version of our desktop software tool because it also allowed users to map out the roof and select all the components of IKO's Pro 4 Roofing System: shingles, roof starter, underlayment, ice & water protector and hip & ridge cap shingles." The Android version of RoofViewer takes the app to a whole new level of functionality by driving qualified leads to reputable contractors. They’ll be able to save all the information as reference, to create a price quote. Ms. Perkins says, "This will be faster and more convenient than having to transfer the data by hand and deal with more paper. Roofing professionals are busy, always on the move. They're sure to enjoy having remote access to prospects' contact info and selected products." Chameleon Power, a leader in software technologies for the roofing and building industries, provided the suite of RoofViewer tools. CEO Dan Dempsey says, "IKO has continued to lead the roofing industry with innovative solutions for its roofers and homeowners. We're thrilled to work closely with such an innovative organization in bringing our technologies to the roofing industry." TheRoofViewer app is now available as a free download at the Google Play Store online store or at the IKO website: www.iko.com. Apple and iPad are registered trademarks of Apple, Inc. Android and Google Play are trademarks of Google, Inc. All rights reserved. Auburn Hills, MI — Architects and designers can now see an accurate visual impression of Guardian SunGuard exterior coated glass products under varying lighting conditions with the new Guardian Glass Visualizer. 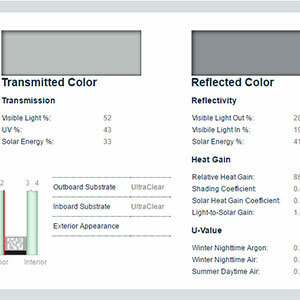 An online tool available in North America at sunguardglass.com the Glass Visualizer is the newest edition to the suite of Glass Analytic services from Guardian that includes the Performance Calculator, Building Energy Calculator and BIM Generator. Together, these industry-leading tools provide comprehensive engineering and analytical modeling and custom glass content that demonstrate the advantages of high performance glass in building facades. Guardian is a diversified global manufacturing company headquartered in Auburn Hills, Michigan, with leading positions in flat glass, fabricated glass products and other building products for commercial, residential and automotive applications. Its automotive trim group, SRG Global Inc., is one of the world’s largest suppliers of advanced, high value coatings on plastics. Through its Science & Technology Center, Guardian is at the forefront on innovation including development of high performance glass coatings and other advanced products. Guardian, its subsidiaries and affiliates employ 17,000 people and operate facilities throughout North America, Europe, South America, Asia, Africa and the Middle East. Visit www.guardian.com. 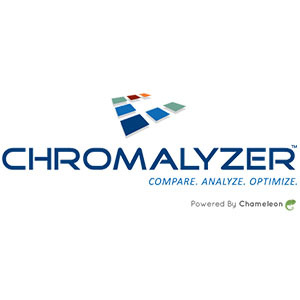 NOVI, MI — Chameleon Power has acquired Chromalyzer, the leading provider of color analysis and palette development tools developed specifically for Manufacturers of products with extensive color ranges, where color is an important part of the purchasing decision. 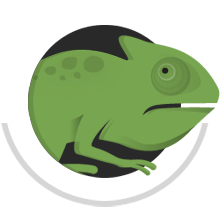 The acquisition is effective in June, and the Chromalyzer suite of tools will be rebranded under the Chameleon umbrella. Chameleon Power has experienced significant growth in the last four years and expanding its tool set for its growing customer base provides a higher level of service and value within the markets it serves. “Discriminating customers use our technology to make the best decision. Color accuracy and the ability to analyze the color space of products dramatically enhances our value with certain sectors of the residential and commercial design arenas,” said Dan Dempsey, President and CEO of Chameleon Power. “Phil’s reputation and relationships within the paint and decorating industry expand our opportunities in that category, and allow us to add value to our core customers while addressing the constant concern for color accuracy". NOVI, MI — OW Lee, manufacturer of fine wrought iron and wrought aluminum furniture has teamed up with software developer Chameleon Power to give customers the opportunity to build their own fire pit with the Casual Fireside Fire Pit Builder. 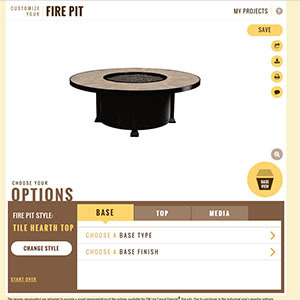 This new visualizer tool allows users to view OW Lee fire pit options from their computer or mobile device. Customization options include pit style, base type, base finish, top style, top finish, and fire media kits with a total of 1,500 possible configurations. The visualizer also makes it possible for users to save, share, download, and print their projects. “The Fire Pit Builder is such a great way to really visualize all the different options we have available and to see your custom fire pit on screen before you order. I think the Fire Pit Builder will help the consumer to feel confident about their choices and drive them to purchase.” said Lisa Rogers McCollister, Marketing Manager at OW Lee. The OW Lee visualizer capitalizes on the unique bases and tops that are offered by the company. Chameleon Power is the foremost developer of visualization software for the home design industry and is proud to team with OW Lee to create their first fire pit visualizer. The OW Lee Fire Pit Builder is available for use at owlee.com/fire-pit-builder or owlee.chameleonpower.com. NOVI, MI — Color Guild, the global paint and color authority with 55 independent paint manufacturer members, has launched the first iPad visualizer app for the paint industry. The new visualizer tool allows users to view Color Guild paints on their projects from the popular mobile device. The Color Guild iPad app capitalizes on the unique features of the Apple iPad, and utilizes the new auto-fill feature from Chameleon Power, the leader in mobile visualization tools. Chameleon Power has more than a dozen visualizer apps available at the Apple app store and the Color Guild app is the first paint specific iPad app. The Color Guild visualizer app from Chameleon Power is available for download at the Apple app store. Color Guild is referred to as “the global paint and color authority” and includes 55 independent paint manufacturers from 14 countries. Color Guild’s focus is on the marketing, promotion and selling of paint products. The unique partnership between Chameleon’s software developers and Color Guild’s color experts has generated a truly innovative product. NOVI, MI — Color Guild, the global paint and color authority with 55 independent paint manufacturer members, has launched a paint matching application for Apple mobile devices. 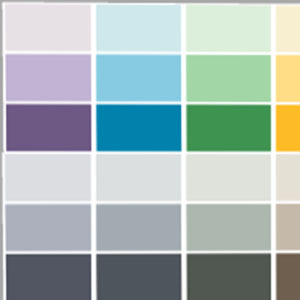 The ColorMatch tool, downloadable from the Apple app store, allows users to quickly snap a photo of their room/project and instantly match to paint colors from the Color Guild IS and Historic palettes. “We wanted technology differentiators for our global member groups and the ColorMatch is one of the tools we felt would elevate us above the competition and we are excited to provide this tool to our global client base”, said Bob Shapiro, Executive Director. The ColorMatch app is developed by the leading provider of web and mobile technology to the building and decorating industries, Chameleon Power. “Having tested other color matching apps we knew there was a market for a more accurate tool that the customers would find to be a useful utility,” said Dan Dempsey, President and CEO of Chameleon Power. “We have a significant technology advantage in the paint and decorating space since our VP of Research and Development, Bill Westrick, is a color scientist and has developed many of the color selection tools in use today, utilized by paint manufacturers, and used in paint stores around the world”. The ColorMatch apps for iPhone and iPad are available at the Apple app store currently. NOVI, MI — Color Guild, the global paint and color authority with 55 independent paint manufacturer members, has upgraded its website visualizer to allow users to upload and decorate their own photos and select from the Color Guild IS and Historic palettes. “Our old visualizer was Flash-based so it did not work on iPads and other mobile devices, and really needed a technology overhaul”, said Bob Shapiro, Executive Director. “We selected Chameleon because they are the leader in this arena and never used Flash, so it was easy to upgrade, deploy and make available to our individual member locations”. 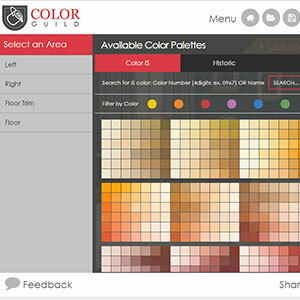 The Color Guild website visualizer is developed by the leading provider of web and mobile technology to the building and decorating industries, Chameleon Power. Chameleon provides its visualizer engines to many of the leading building and decorating manufacturers, distributors, dealers, builders, contractors, etc. The Color Guild visualizer tool from Chameleon Power is available for use at the Color Guild website (colorguild.com) and at many Color Guild member websites. NOVI, MI — Chameleon Power, the leading provider of web and mobile visualizer solutions to the building and decorating industries, has developed a visualization tool for the glass industry. 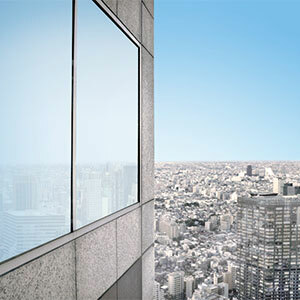 The glass visualizer is the first tool that takes into consideration all of the factors related to glass selection in the commercial building industry. “Accurately representing the appearance of glass presents a significant challenge. Unlike many other products where photography will suffice, the transparent and reflective qualities of the glass means that the viewing environment cannot be ignored. We never see just the glass but instead see the effects of the glass on the viewing environment”, said Bill Westrick, VP of Software Engineering. The glass visualization engine is the latest product of the Chameleon Lizard Labs development team that creates Chameleon Power’s web and mobile engine technologies. With an R&D staff approaching ten, Chameleon is focused on next generation technologies for many industries and users and continues to evolve its very popular visualization engines used by millions every month. Current clients of the Chameleon software tools include ABC Supply, Arizona Tile, CertainTeed/Saint-Gobain, Congoleum, Empire Today, Exterior Portfolio by Royal, GAF Materials Corporation, Ply Gem, Royal Building Products, Sears Home Improvement, Sikkens/Akzo Nobel, Tapco International, a Headwaters Company, Tarkett and many more. “The glass industry challenged us to develop an effective utility for their users,” commented Dan Dempsey, President and CEO of Chameleon Power. “Our R&D team was quick to respond and embrace the opportunity, launching our first prototype within weeks of the initial project launch”. Currently all Chameleon solutions work on web platforms, the iPad, and other mobile devices and can be accessed online via web browser at Chameleon client websites and portals, or as apps downloadable from app stores.